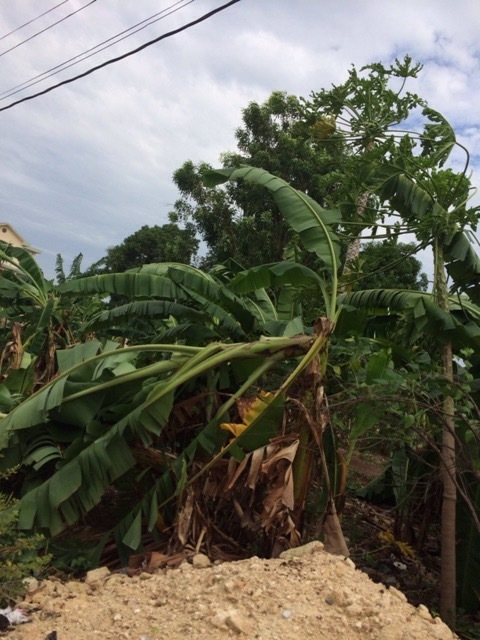 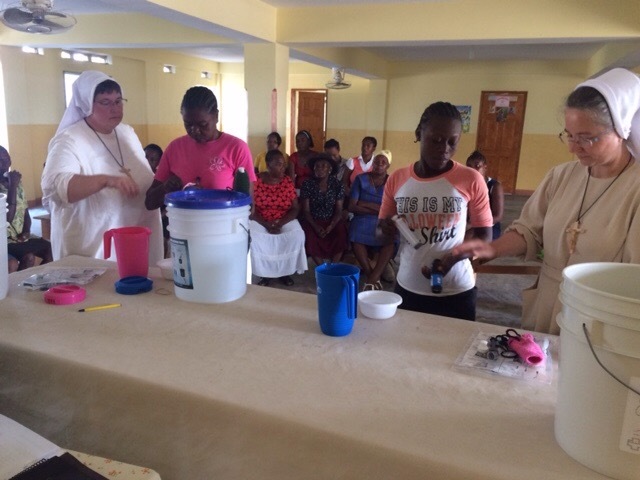 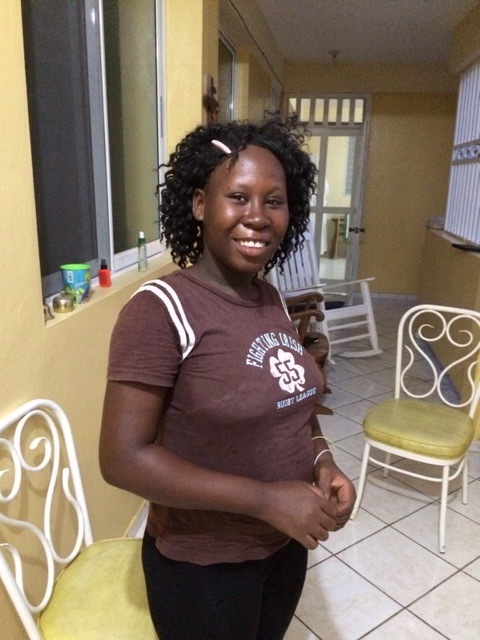 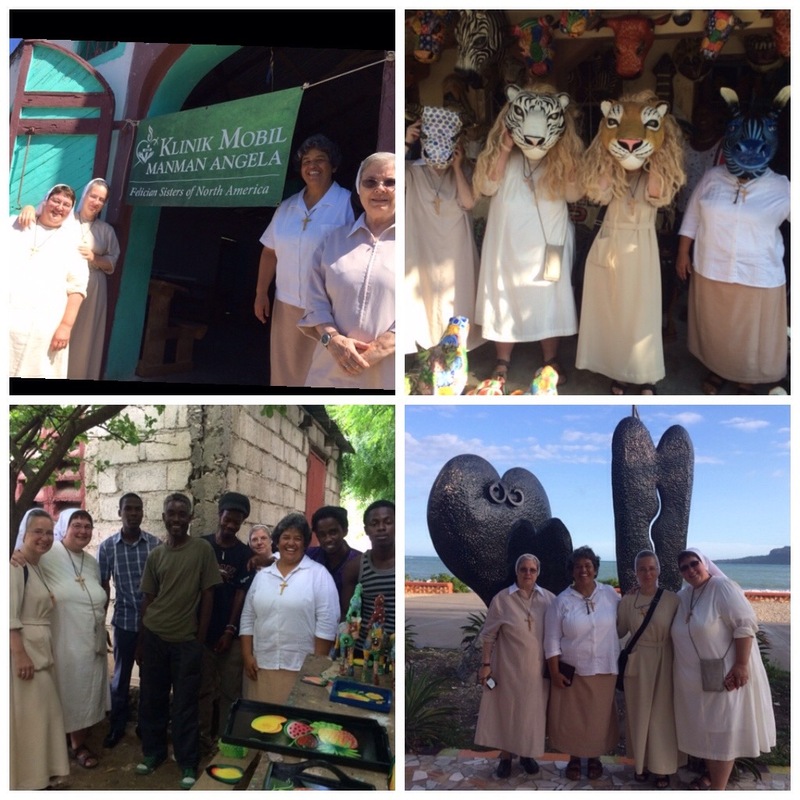 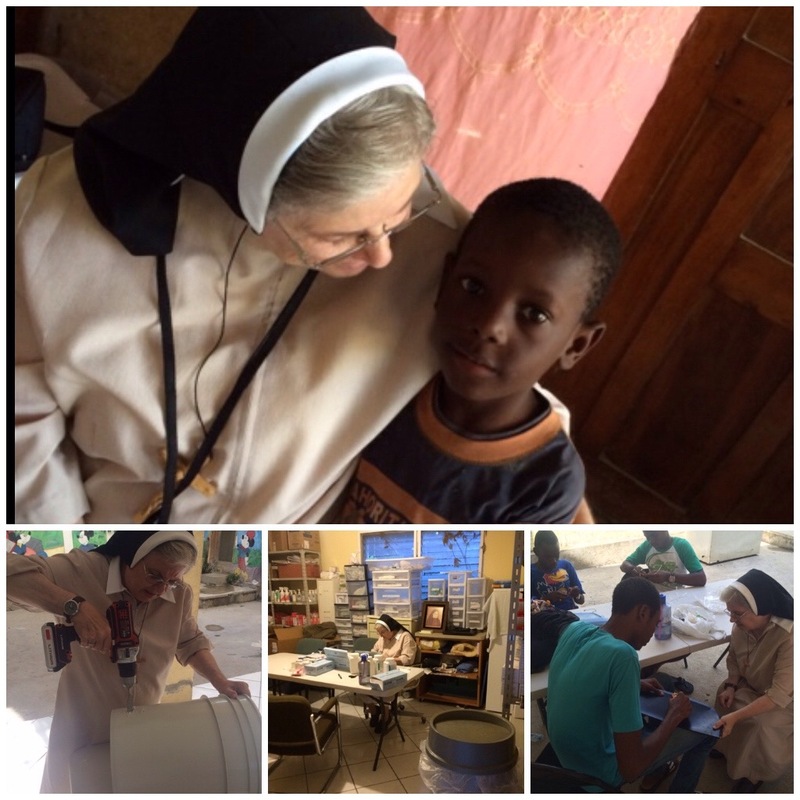 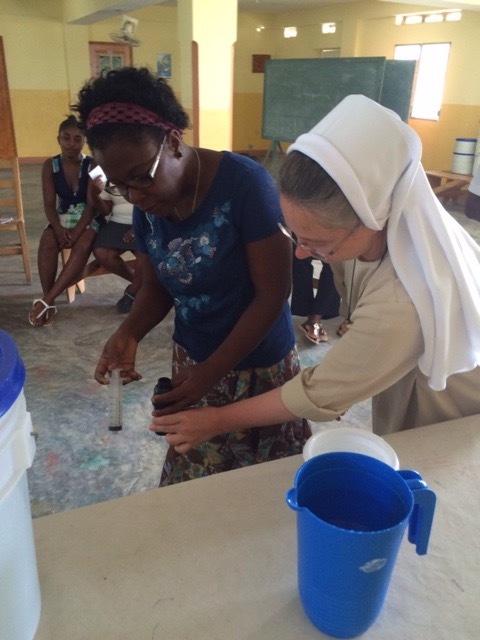 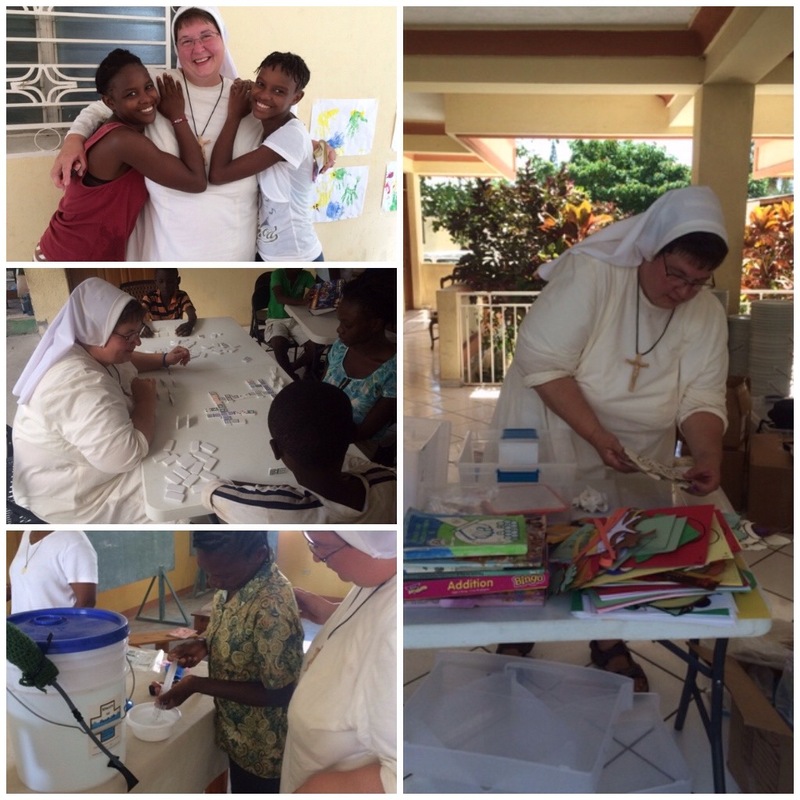 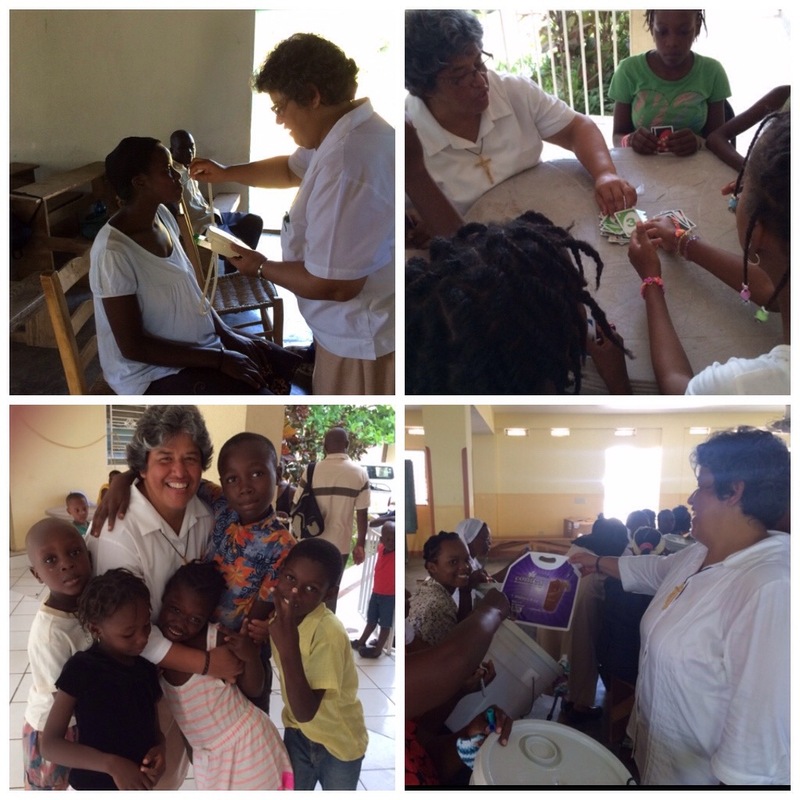 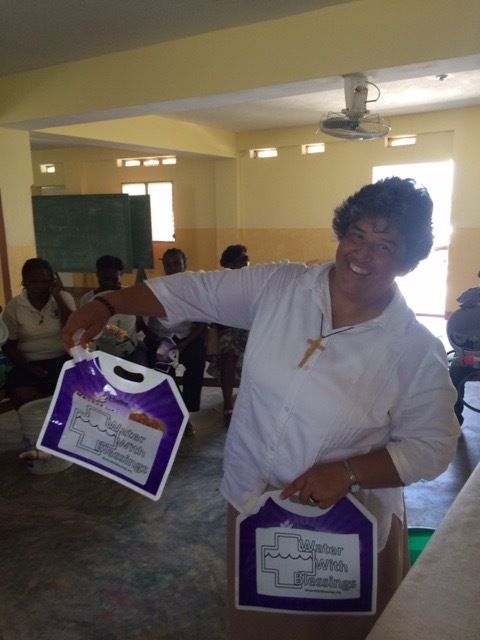 On Monday, August 17, and Tuesday, August 18, we met with our fourth group of “Water Women” at St. Yves Parish in Monchil. 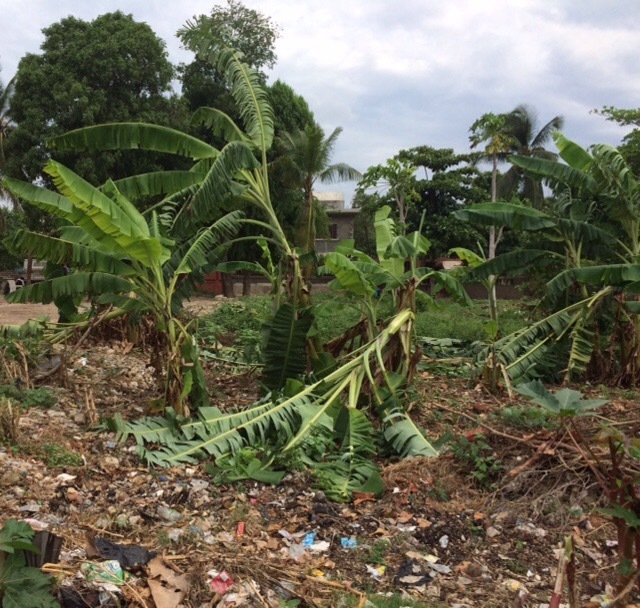 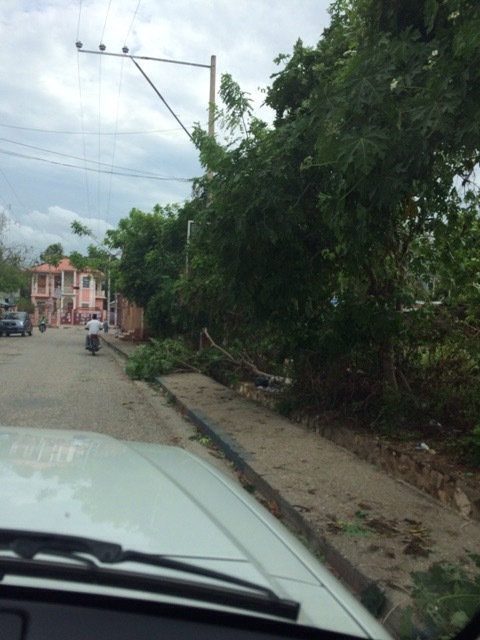 This is another place where the Mother Angela Clinic visits every other week. 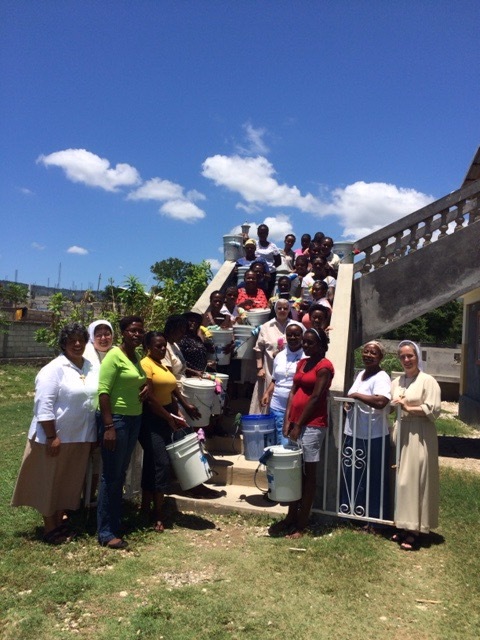 We had 20 women participate in the formation process, preparing them to be a part of the “Water with Blessing” project. 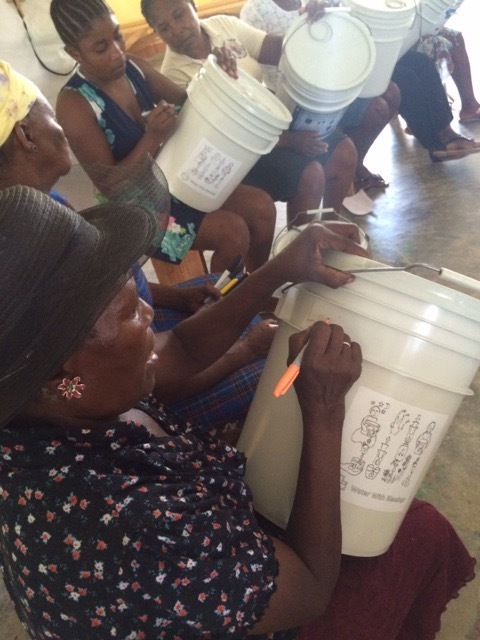 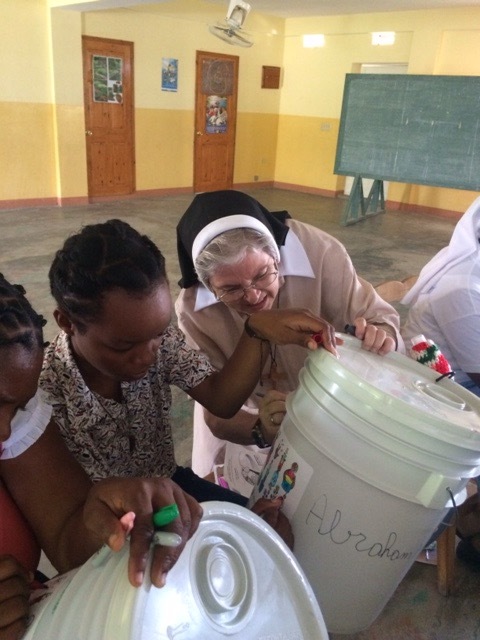 This group seemed to be very well organized since we had the opportunity to collaborate with the Spiritan Sisters, who helped to invite the women and who also participated in the formation process as the women each received a filter and a bucket. 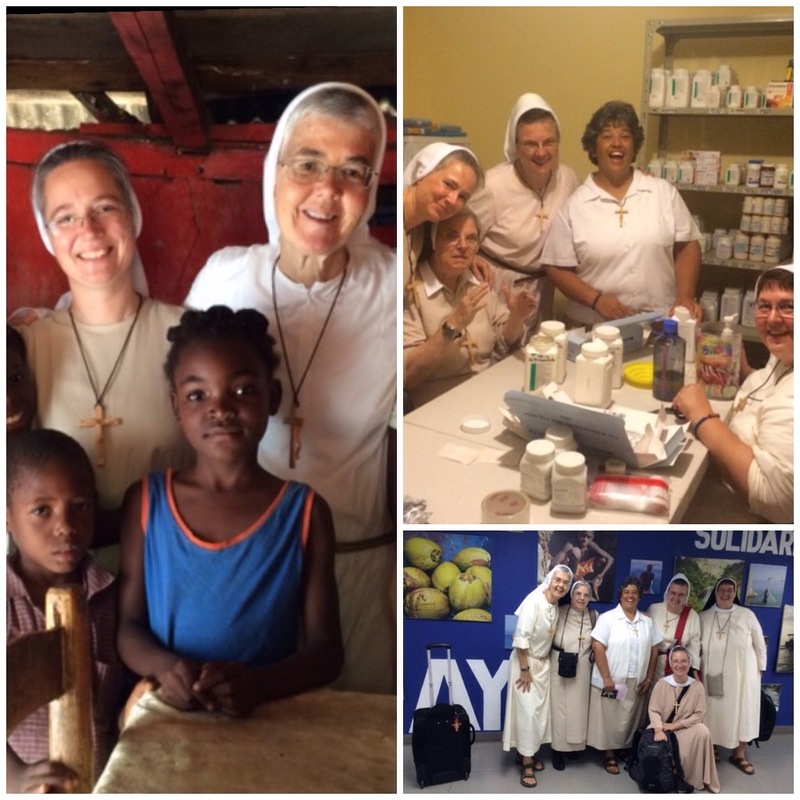 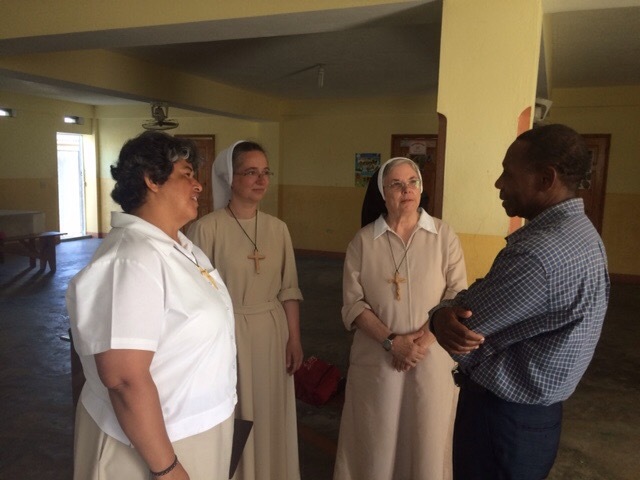 It was a joy to have our four Felician Sisters–Margaret, Angela, Julitta and Rita–participate and help us with the two days of formation. 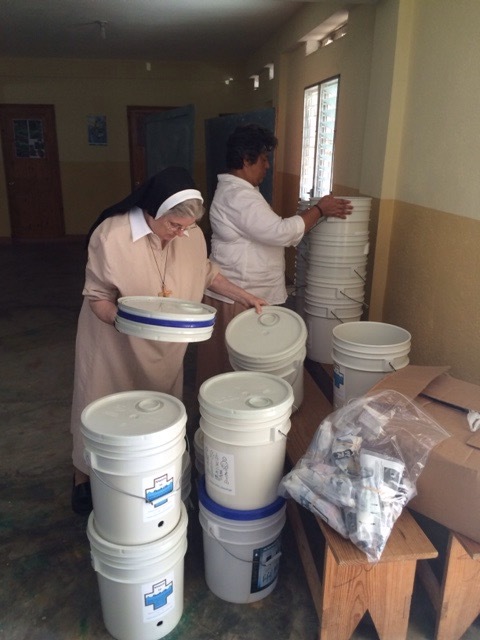 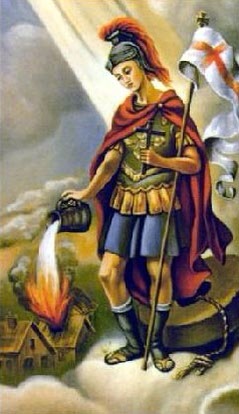 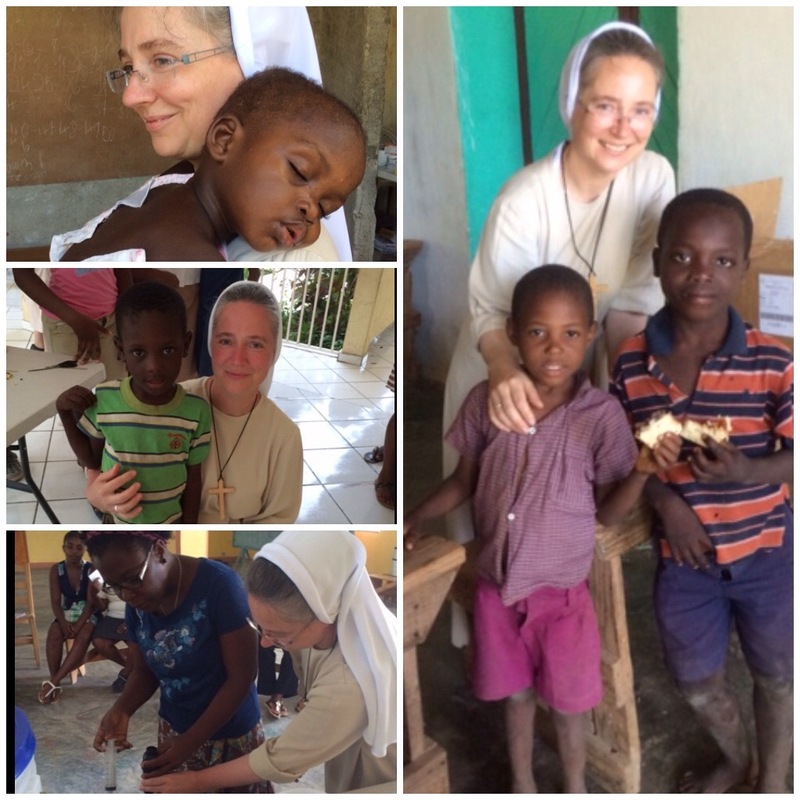 We thank all our benefactors who make possible this project of giving clean drinking water to the poor in our midst.